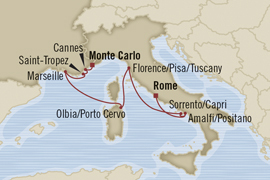 Oceania Cruises Mediterranean cruise itinerary sail to exclusive ports of call along the coast of Italy, the Italian Riviera, the French Riviera, the Greek Isles, and the Dalmatian Coast. 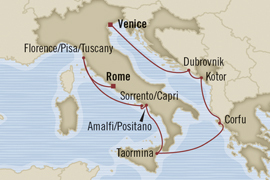 With 2-for-1 cruise fare, FREE airfare, FREE pre-paid gratuities, and FREE on board cash to spend on all select cruises, there has never been a better time to enjoy an affordable luxury cruise around Italy. 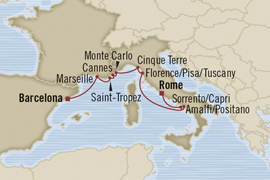 Oceania Cruises offers an elegant cruise experience, in a casual, country club atmosphere. 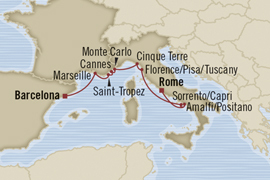 Oceania offers some of the most unique Mediterranean cruise itineraries at sea, visiting extraordinary Mediterranean ports. 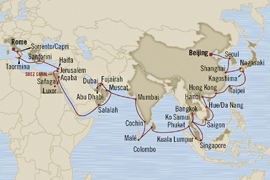 Oceania cruises debuted a new ship for 2011, called the Oceania Marina. 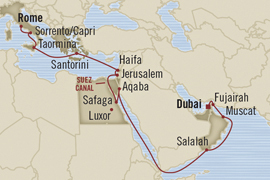 In 2012, Oceania launched the new Riviera. 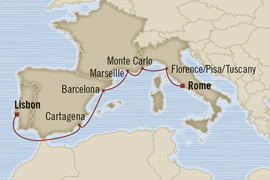 Both of these ships have excellent cruise around Italy itinerary. 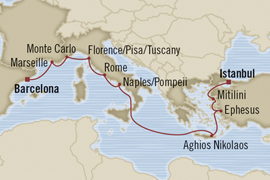 Since loyal Oceania guests like to book far in advance to secure the best pricing and cabins, you will already find prices available for all 2013 Oceania Mediterranean Cruises and even through the spring of 2014. 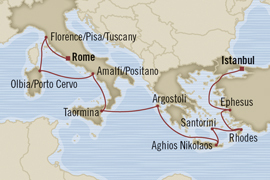 Not only can you take advantage of Oceania Mediterranean cruises early booking discounts, free air and 2 for 1 cruise fares, but on many sailings we also have exclusive amenities such as shipboard credits, pre-paid gratuities, free port transfers, and private shore excursions. 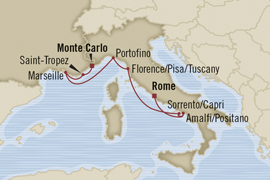 Guaranteed lowest prices – better than if you book direct. Best customer service – your a name not a booking number. 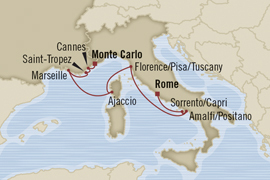 Oceania Cruises affordable luxury Mediterranean cruises aboard the Oceania Rivieria, Oceania Nautica, Oceania Regatta, and Oceania Marina promise an unforgettable European cruise experience. 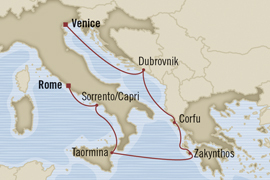 For a limited time take advantage of Oceania’s affordable luxury Europe cruise deals to sail to the beautiful Mediterranean and Adriatic ports of call, while enjoying the highest level of service at highly discounted best price. 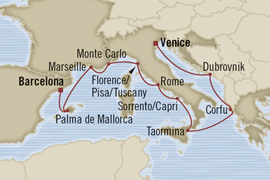 Call 800-227-1577 or fill out this form for the lowest price on your Oceania Cruises Mediterranean cruise. 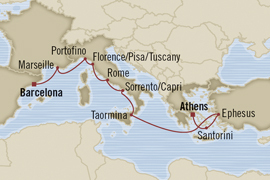 Call us today 800-227-1577 Oceania Cruises Mediterranean Cruises lowest price, FREE cash back, FREE pre paid gratuity, FREE spa credit best deals on Oceania Mediterranean cruise guaranteed.